In 1808, German Romantic philosopher Friedrich Schlegel published On the Language and Wisdom of the Indians, inaugurating the West’s fascination with India and its extraordinary civilization. Beginning with Schlegel and the later reflections of Schopenhauer on Hinduism and Buddhism, followed by the novels of Hermann Hesse and the anthropological–psychological analyses of Carl Gustav Jung in the early 20th century, India and its traditions have inspired countless intellectuals and artists in the West. 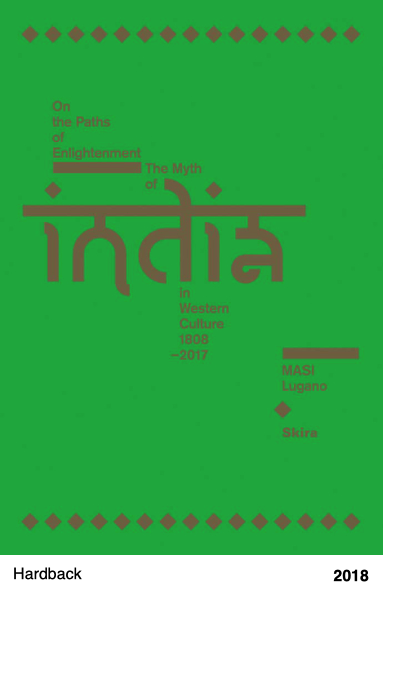 The myth of India eventually culminated in its impact upon the countercultures of the 1960s and ’70s. Fifty years after 1968, the theme of the “journey across India”―a real or imaginary experience in which the spiritual restlessness of entire generations expressed itself―is revisited in this volume. Spanning the history of the West’s fascination with India through a wealth of illustrations and impressive contributions by various authors, it shows how this fascination was expressed, from art to literature, music to religion, history to psychology.